I am almost finished with the kitchen. A few weeks ago I organized the pantry, last week we rearranged the kitchen and this week I cleaned out the catch-all areas in the kitchen. This cupboard sits above the dishwasher. 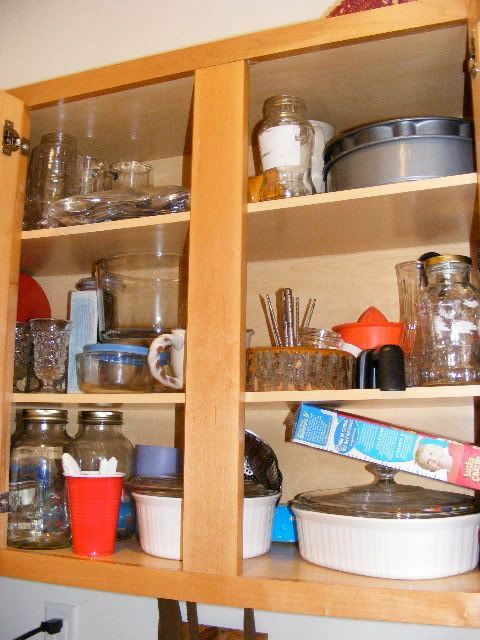 Its location makes it difficult to store items that are either frequently used or frequently put in the dishwasher. 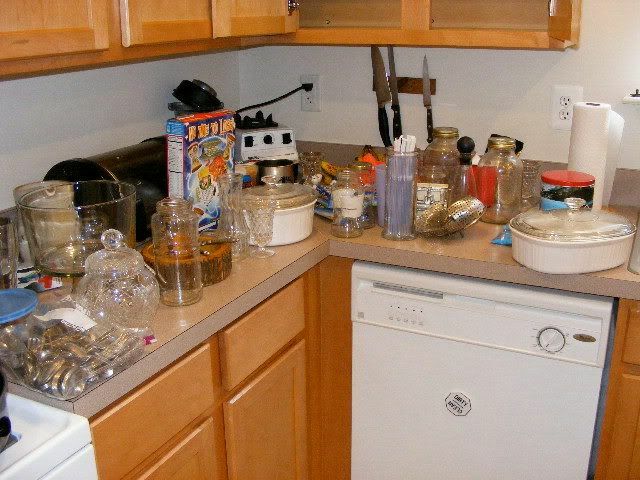 Over time, it has become a junk cupboard. 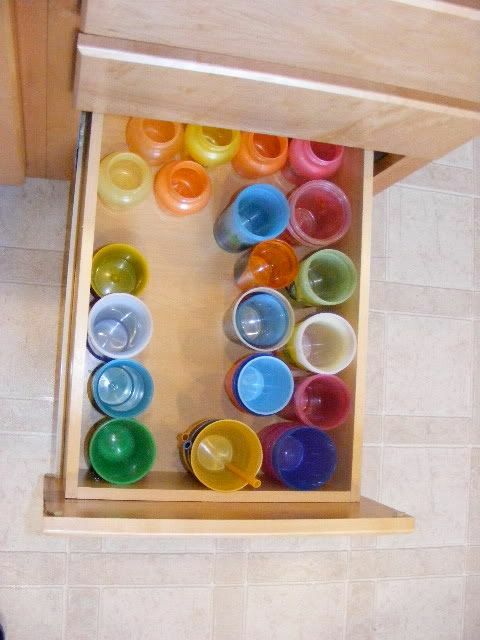 When organizing, I like to empty the cupboards and start fresh. It also allows me to wipe out the areas I am cleaning. All finished with cupboard #1. 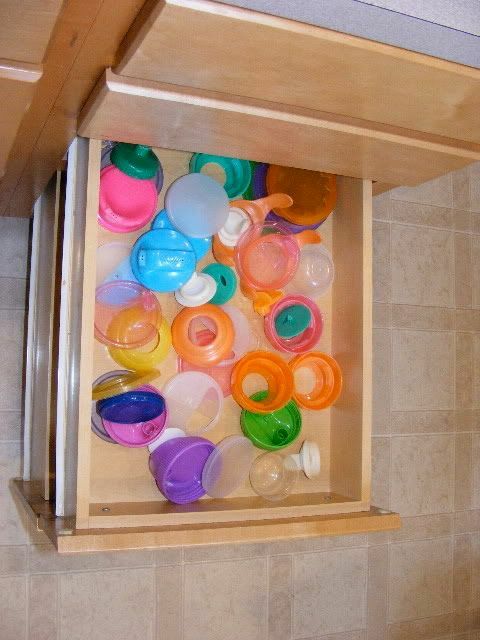 There is a large drawer in my kitchen that is perfect for storing children’s cups. They are able to unload the dishwasher easier as well as get their own drinks when they are thirsty. This drawer is also a wreck. 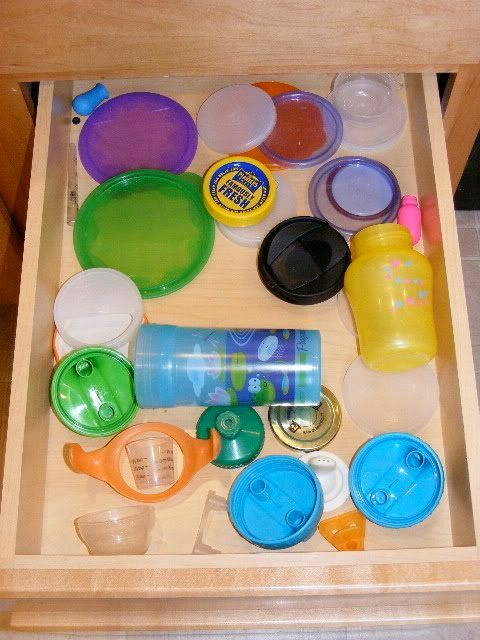 I have another drawer that holds all the lids and stoppers for the sippy cups. 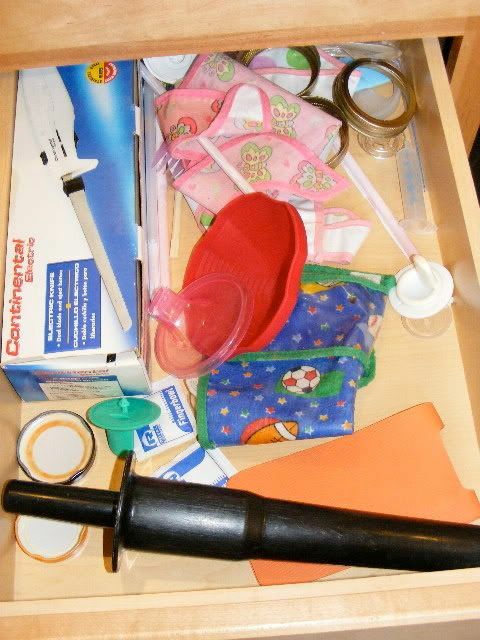 For some reason, this drawer becomes cluttered with lots of miscellaneous items. 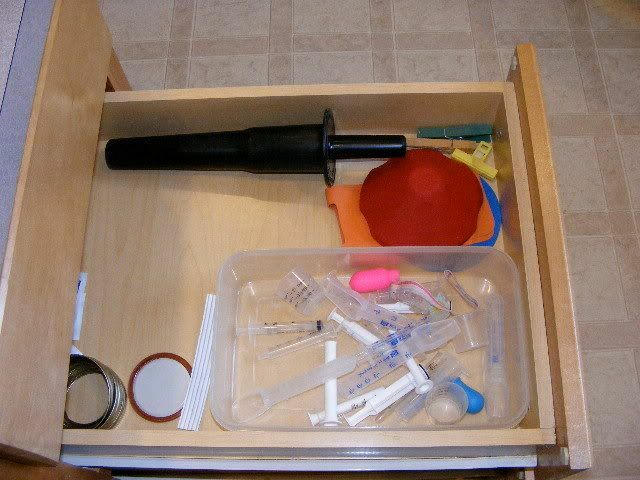 The next drawer contains odds and ends that belong somewhere else, but no one wants to take the time to figure out where “somewhere else” is located. With the help of my worker bees, the drawers were quickly unloaded. I organized and recycled many of items and now the drawers are very functional. 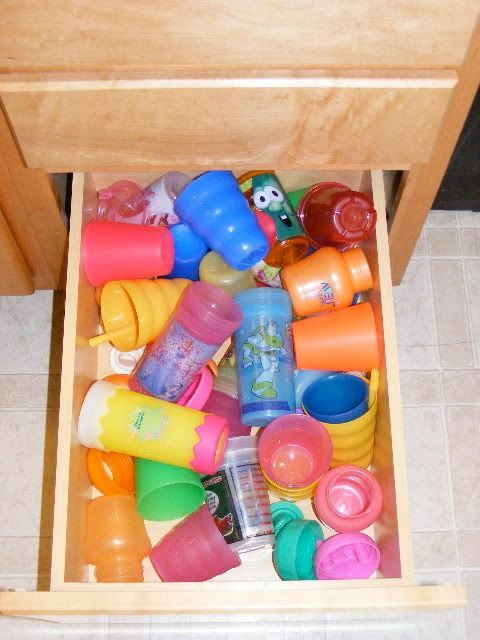 Those annoying medicine droppers, cups, and syringes- annoying no more when stored in a lidless Tupperware container. 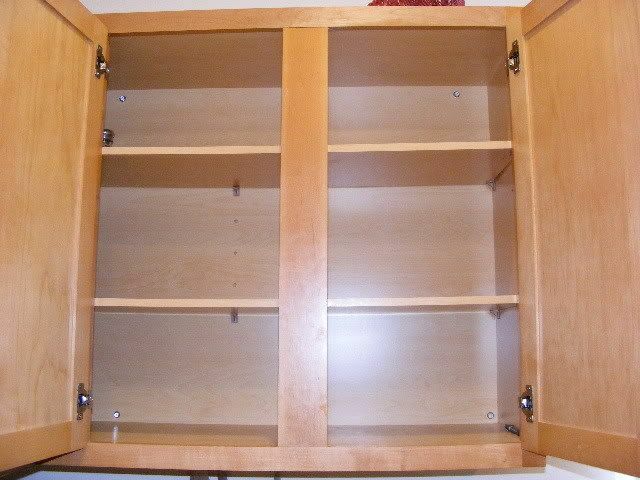 Finally I conquered my cabinet of giant kitchen items. My mill, wok, and pressure cooker take up so much space. 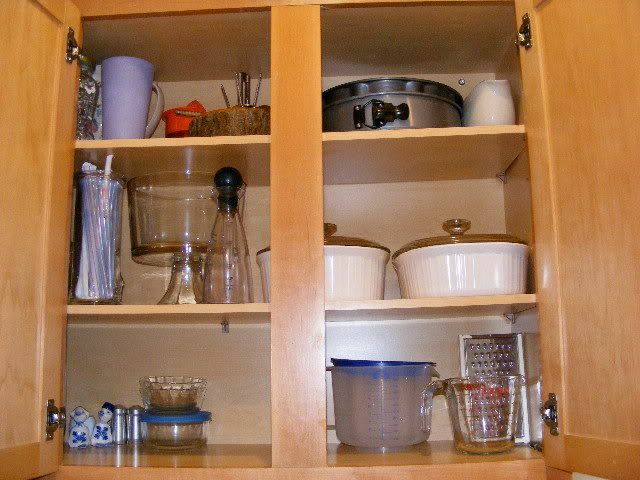 I am thankful to have a large cabinet to store them, but never could find a working arrangement. I was excited to find this Christmas cookie tin in the back of the cabinet. 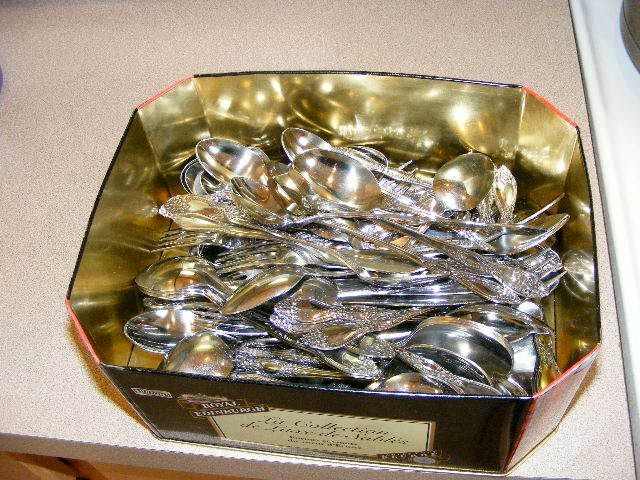 I now use it to store extra silverware we use when friends join us for dinner. All finished, and I even found a spot for my new cloth napkins. Today’s project is almost my last kitchen organization tackle. 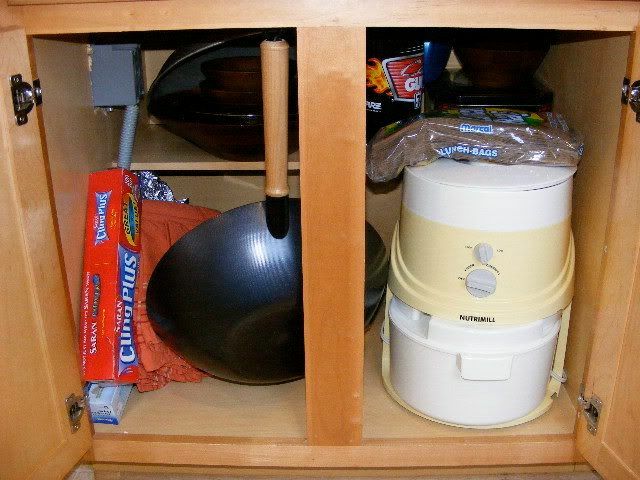 I still have the dreaded under the sink cabinet as well as my cookbooks, but then I will be finished. 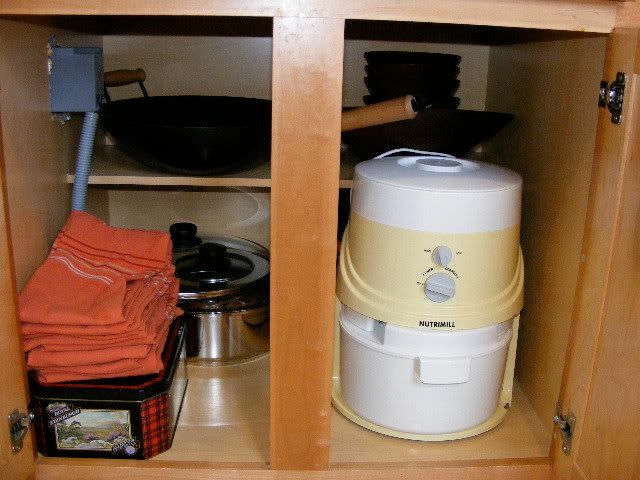 They are on my list for this week if I can gather up the courage to stick my arm that far under the sink cabinet. Your kitchen looks great. You are getting so much accomplished. I have the same white casserole dishes that you have. In case you might be interested in another space saving idea I turn my glass lids upside down so than handle is inside the dish then I stack the round one on top of the oval one. And I love my little plastic boxes within my drawers to keep the little stuff organized, too. I try to keep varied sizes on hand. I get them in packs of 3 to 5 for a $1, awesome. Your helpers sure are cute!! I’m working on my kitchen too!!! Great minds think alike, lol. The kitchen is my next stop too! I’ve determined I need more cabinet space. I have so much stuff. I love to cook and we frequently have large crowds. I have a hard time resisting kitchen items. 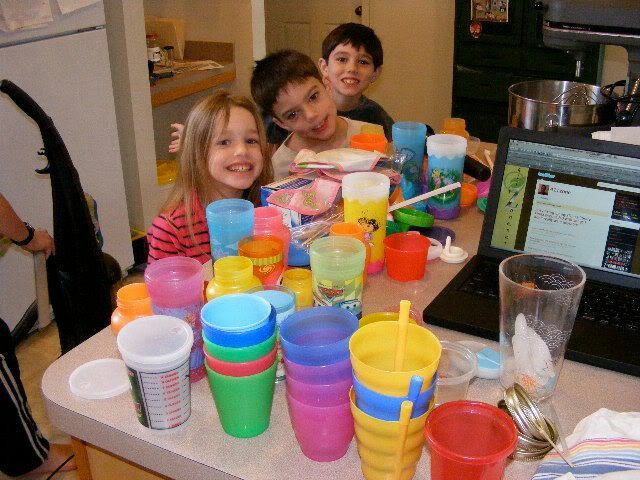 Looks good…and I love those little kitchen helpers…so cute!